LifeBridge currently meets at Central Baptist Theological Seminary (6601 Monticello Rd, Shawnee KS 66226) on Sundays at 10am. We are located on the Southwest corner of Shawnee Mission Parkway and Monticello about a half mile East of K-7. You will see our signs at the street and front door. When you walk in the door, you will be greeted by friendly people available to help answer questions. 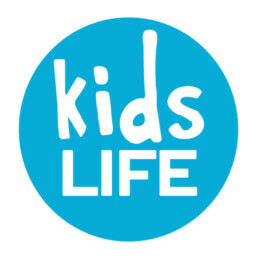 KidsLife is available during worship for children Birth through 5th Grade. Check-in is located straight down the hall from the front doors. Signs will help point the way. Infants and toddlers 0-2 years old meet in the Nursery, located to the right of the front door, just steps away from our Worship Center. Children ages 3 through 5th Grade meet upstairs and in space down hall from the front door. Upon entering the building walk straight ahead to the check-in station. There, your children will be directed to age-specific classrooms. Your kids will have a lot of fun learning about Jesus and you will feel comfortable knowing your kids are in a safe and fun environment. I like coffee. Do you have coffee? Yep! Hot coffee is available to the left, brewed and waiting for you. Our music is guitar-led accompanied by a talented band. Teachings unpack our present lives and connect people to Jesus’ Love, Path, and Mission with a mixture of education and laughter. The total worship time is 60 minutes each week with Holy Communion available to all people on the first Sunday of the month. We believe that a person should leave Sunday’s time together feeling “built up” for the week ahead. © 2018 LifeBridge Church. All Rights Reserved.